Srinagar: Pakistan’s envoy in Turkey Tuesday thanked the country for its continuous support to the Kashmir cause during an event held in the Turkish capital. 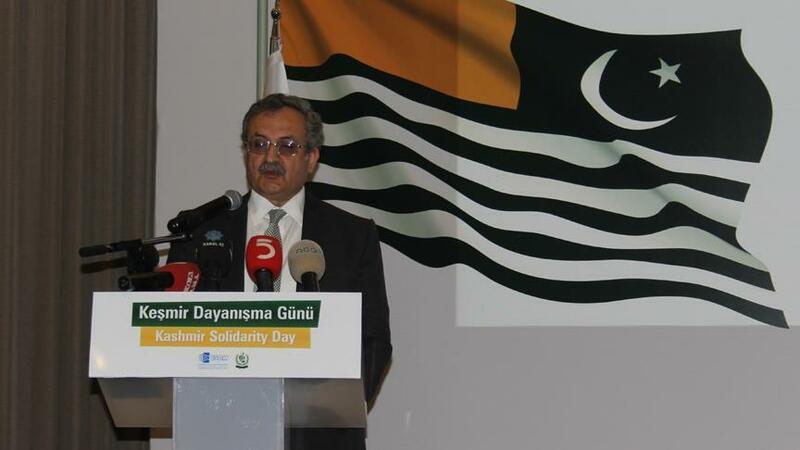 Addressing the participants at an event organized by the Turkish think-tank Economic & Social Researches Center (ESAM) to mark the Kashmir Solidarity Day, Pakistani Ambassador to Turkey Syrus Sajjad Qazi said that Muslims are grateful to the people of Turkey, Turkey’s Anadolu agency reported. “The people of Pakistan, the Kashmiris across the globe, the members of the Muslim Ummah and indeed every person with a conscience, is truly grateful to the people of Turkey for their unambiguous, unwavering, unequivocal support for the just struggle of the Kashmiri people,” said Qazi, according to the report. During his speech, Qazi slammed India for committing “grave human rights violations” in its part of Kashmir. “The Kashmiris are being collectively punished,” he said, “but the demand for the right to self-determination by Kashmiris remains unshaken,” Qazi added, the report said. Referring to a UN Human Rights Council (UNHCR) report on Kashmir released last June, the Pakistani ambassador expressed his hope about the growing interest of the international community to the situation in Kashmir. Qazi urged the UN to take “decisive action” on Kashmir in light of the reports and resolutions by UNHRC, British parliament’s All Party Parliamentary Group on Kashmir and Organization of Islamic Cooperation.